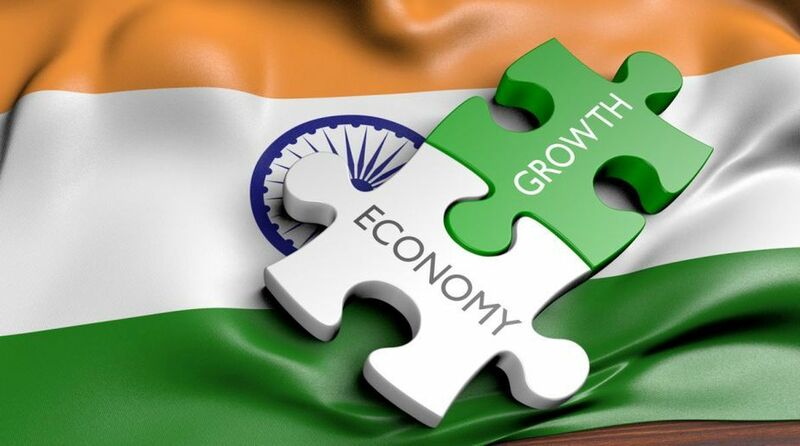 India’s $ 2.7 trillion economy is headed for a slowdown ahead of the Lok Sabha elections due to be held by May. India’s $ 2.7 trillion economy is headed for a slowdown ahead of the Lok Sabha elections due to be held by May. A federal statistics entity has projected an overall economic growth rate of 7.2 per cent for the year ending 31 March. This is quite worrisome. With the economy already recording 7.6 per cent growth in the first half (April-September) of the fiscal, the finding implies that it will grow at around 6.8 per cent in the second half (October- March). On 7 January, the Central Statistics Office released the first advance estimates for the current fiscal, mainly for the finance ministry to use as a base for calculations in the interim budget that was presented on 1 February. CSO’s 7.2 per cent figure is slower than the Reserve Bank of India’s estimate of 7.4 per cent growth in its latest monetary policy. However, it would still be faster than the 6.7 per cent growth clocked in 2017-18. What could drag down growth in the second half is the government’s inability to boost growth because the fiscal deficit in the first eight months of the year (April-November) has crossed 112 per cent of the whole year’s target. Higher public expenditure, both by the states and the Centre, had buoyed growth in the first half of the year. Union finance minister Arun Jaitley has pledged to meet the fiscal deficit target of 3.3 per cent of GDP in 2018-19, despite a significant revenue shortfall and populist demands in an election year. While the shortfall in goods and services tax (GST) collections is expected to be partly met by the higher budgeted growth in direct tax collections, it is unlikely to make up for it. Data released by the Finance Ministry on 7 January showed net direct tax collections till December had touched 64.7 per cent of the full year target of Rs 11.5 trillion, growing at the rate of 13.6 per cent. While the government has targeted Rs 1 trillion in GST collections every month, the figure was crossed only twice ~ in April and October ~ and during the first nine months of this fiscal. However, the CSO’s estimate of nominal GDP growth at 12.3 per cent for 2018-19 against the finance ministry’s assumption of 11.5 per cent for the same year will help the government meet the fiscal deficit target of 3.3 per cent of GDP despite the revenue shortfall. Madan Sabnavis, chief economist at Care Ratings Ltd, said these numbers must be read with caution as the methodology clearly says that these are extrapolations of existing data on various sectors, which could range from six to eight months. “Therefore, there is scope for change in these numbers when the actual numbers are reckoned. The Q3 results towards the end of February will throw more light on the final outcome. The positive feature of CSO’s GDP advance estimates is the sharp acceleration projected in investment demand as represented by the gross fixed capital formation, which is estimated to grow to 12.2 per cent in 2018-19 from 7.6 per cent a year ago. Sandip Somany, president of the Federation of Indian Chambers of Commerce and Industry, has said that the investment cycle should start kicking in during this year. “Aggregate industry capacity utilisation has now reached 70-75 per cent. So, Indian industry without investment can service its customers now for one year or 18 months at most. Most industries will have to start putting in money and expand capacity; otherwise they will run out of capacity,” he has said. While agriculture and manufacturing are set to be accelerated in 2018-19, CSO projected the services sector to decelerate during the year ending 31 March. Federal policy think-tank Niti Aayog has suggested several economic reforms with an aim to accelerate growth and boost the size of the economy to $4 trillion in the next five years. The blueprint, called the “Strategy for New [email protected]”, released by Finance Minister Arun Jaitley and Niti vice-chairman Rajiv Kumar, proposes an increase in the share of taxes in national income to 22 per cent from 17 per cent, inclusion of fuel and electricity within the GST and privatising airports, as well as key railway assets such as freight terminals, engines and rolling stock. The objective is to take steps that will keep India’s $2.7 trillion economy steadily expanding by about 8 per cent, which could quicken to 9-10 per cent by 2022-23, making India a $4 trillion economy. “It is also necessary to ensure that growth is inclusive, sustained, clean and formalised,” the blueprint states. The document, which covers the National Democratic Alliance (NDA) administration’s prescription for future reforms and growth milestones, comes just months ahead of the national elections. Explaining the need for the blueprint, Mr Jaitley said sound policy measures would put the economy on track, lift people out of poverty and improve the quality of life. Although unlike its predecessor Planning Commission, Niti Aayog is not involved in allocation of funds to various programmes, officials say ministries will heed its advice, given that Prime Minister Narendra Modi leads the think-tank. Niti Aayog’s chief executive officer, Amitabh Kant, has said that the think-tank has a monitoring and evaluation division, which prepares the outcome budget. “The entire focus of this government is on outcomes. Every resource spent is measured on the basis of outcomes delivered,” said Kant. The Prime Minister has reviewed the strategy document in detail. The strategy paper lays emphasis on completing major infrastructure projects such as the first phase of Bharatmala Pariyojana, laying roads in the north-eastern region and digitally connecting 250,000 gram panchayats through the Bharat Net programme by 2019. It aims at delivering all government services up to the gram panchayat level digitally by 2022-23. It also proposes using idle land available with state-owned companies for productive use, giving every family a pucca house and ensuring power for all. Production of minerals is another priority for which the blueprint proposes a revamped exploration policy and a regulator. “Popular aspirations are growing, people are becoming impatient. They want things to happen faster,” said Mr Jaitley. One key area of reform proposed by Niti Aayog is privatization of major government assets. The document advises that the government ought to exit from non-strategic sectors by divesting its stake, which will add to the exchequer. Liberalising foreign ownership limits across industries, encouraging foreign investments in government securities and easing rupee bond limits are among the key suggestions. Niti Aayog has suggested that the investment rate be raised from 29 per cent of GDP in FY 18 to 36 per cent by FY 23. Doubling goods and services exports to $ 800 billion by FY23 from $ 478 billion in FY18, improving the business environment and working with states to relax land and labour rules are also part of the agenda.